There is a Korean singer called Kim jang hoon. He has collaborated with Psy for many years. singer who is a "angel of charity". He has gave away 159 million man won to the poor people. kind man rather than just as a singer. 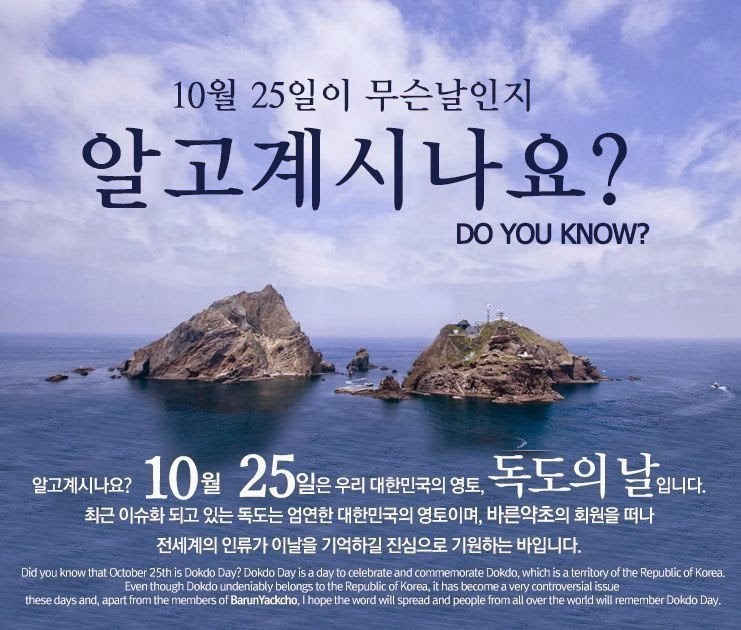 25th of October is a day of celebration for Dok-do. Kim jang hoon, who is a singer is planning a concert for this. 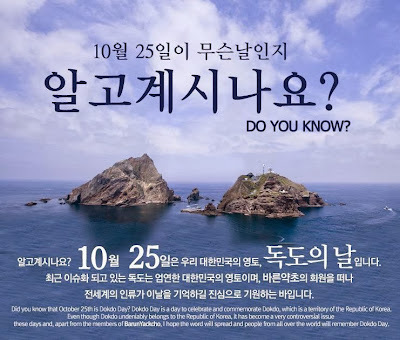 The name of the concert is "Dok-do(Liancourt Rocks) art show in New york"
The phrase "Did you know that October 25th is Dok-do(Liancourt Rocks) day ?" is written on the poster for the concert. New York because he felt angry about what the Japanese people did. He started a funding event with Koreans in order to collect 100 million dollars. Because of this, his concert in Japan which was planned was cancelled. Was it hard for the Japanese people to take in? But the concert will shine in New York. celebrities and ordinary people have participated in the event. One million dollars will be collected quickly. The quality and fun of the concert will spread all over New York. Dok-do(Liancourt Rocks) was fun but false and that Google should rename Dok-do on its map.